'the first meeting of the Goldsmiths’ Miners Support Group. We rattle buckets all around college crying: “Dig deep for the miners!” We propose a solidarity motion that is debated and passed at a packed Students’ Union meeting. We paste up posters saying ‘VICTORY TO THE MINERS’ all along Lewisham Way and down Deptford High Street. .... Surprisingly, Goldsmiths has its own local coalfield – there are five pits less than an hour away in Kent [think there were only three left at this point - Betteshanger, Snowdon and Tilmanstone]. One Sunday afternoon in December a coach load of students head down to Betteshanger Colliery with some Christmas presents. We have an evening in the Miners’ Social Club and are put up in miners’ family homes. We rise before dawn to join the other miners and students marching down the dark country lanes to the pit, singing: “I’d rather be a picket than a scab.” Not a single miner has crossed their picket line, but neither have they persuaded the foremen at the pit to join the strike, so the picket is a dignified but frustrating affair and we’re soon back to the social club for sausage sandwiches'. Read the full article here. 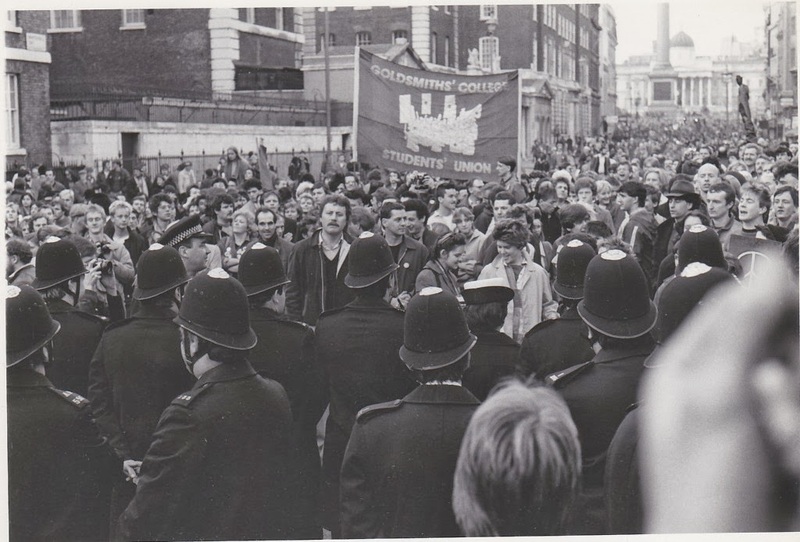 If you have any stories of the miners strike, especially as it was supported in South London, please leave a comment.